Are you drawn to the water? Do you dream of launching your boat off your own personal dock? Are you at your happiest on the beach or out fishing? What if you had all that just yards from your back door? This weekend Windermere Real Estate is hosting the 4th Annual Washington Waterfront Home Tour. More than 60 homes throughout the Puget Sound area priced from $1.1 million to $13 million will be available to tour by boat, bike or car. Most will be held open 1-4pm on June 23 and 24. For those listed as “by appointment only”, please contact the agent for a private tour. 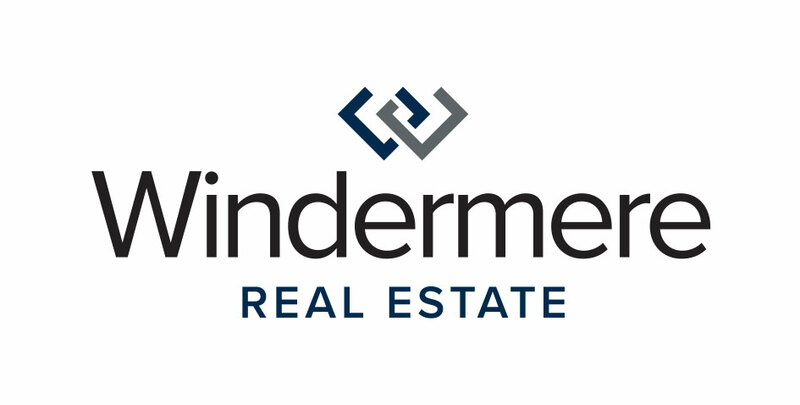 Several Windermere Eastside agents are proud to have their listings featured in the Tour. Get the full map here. A signature entrance winding through an acre of lush, native garden property heralds arrival to this distinctive Hunt’s Point home. Move across the auto court and the bridge over a sparkling water feature and you have arrived! Featuring an impressive front facade where dark steel meets robust stone and stucco joins matte glass in a strikingly fresh NW contemporary. The new owner will enjoy 80 ft of their own private waterfront. Designed by Baylis Architects, revel in the full expression of light with incredible entertaining spaces. See more of this home. You will treasure coming home to discreet luxury in this oasis on the lake. Ideally located on the prestigious Medina Gold Coast with 75 ft of pristine waterfront. This custom home was wholly inspired by its year round symphony of Mt Rainier views. Serenely nestled in specimen gardens awaits an iconic jewel. Deftly fusing a sophisticated blend of geometric lines, soft subtle curves and gallery walls, this extraordinarily crafted home is a perfect canvas for a beautiful life. An everyday oasis destined for invigorated living on 177 ft of glorious lakefront bound by alluring architecture, enchanting gardens, sand beach and waterfalls. Swim, surf and host from the indoor/outdoor infinity pool, marvel in secret spaces and savor afternoons sailing. From beachside s’mores and jacuzzi soaks to grand scale affairs, intimacy and luxurious proportions exist in ideal harmony. Playful amenities include a gym, sport court, koi pond and rock wall offering daily delight while old world elegance inspires. A phenomenal waterfront oasis in coveted Laurelhurst with 140 ft of lakefront playground with a backdrop of Mt. Rainier and stunning sunsets! A symphony of exquisite details coalesce creating an ambiance that delights, pampers and inspires. Completed in 2017, the kitchen showcases distinctive design through a luxurious lexicon, including creamy honed Michelangelo Marble, Walnut, Wolf and Subzero. Christopher Peacock kitchen, Stuart Silk, Kelly Nutt and Adam Leland the West Coast design dream team. Gorgeous! This impeccable waterfront remodel is a true find in Bellevue’s coveted Newport Shores. Home is 5,090 sq ft with 5/6 bedrooms, 3.75 bathrooms and 200+ ft of protected, deep water, bulkhead moorage. Don’t miss the 275 sq ft heated boater’s storage room for all the toys! 2017 interior and exterior remodel has never been lived in! New bathrooms, carpet, light fixtures, doors, floors, molding, blinds, hardware, stucco, driveway, interior and exterior paint and more! Bellevue Schools. Nestled down a quiet cul-de-sac on a sun-drenched property in the heart of Yarrow Point, you’ll find the Hideway by the Cove. Remodeled in 2017, the Hideaway offers protected Western views, a sunny yard and shared waterfront with a new dock and owned boat lift on Cozy Cove. West-facing deck and level yard space perfect for entertaining anytime – before or after you head out on the boat! Main floor master suite highlighted by lakefront views. Plus daylight bonus-room, sport court, gym and hot tub. Lake Sammamish Waterfront Estate on sunny private 1/3 acre lot with manicured grounds. Enjoy gorgeous lake views from every room. Updated formal and casual spaces including renovated kitchen with high-end appliances and granite countertops. Fabulous master with 5-piece spa bath, huge walk-in and stunning views. 68 sq ft of waterfront. Decks for alfresco entertainment and hot tub. Paddleboard off the dock with canopied boat lift and wave runner lifts. Ideally close to I-90 Lakemont exit. Don’t miss this special home! Thoughtfully designed custom home on 75 ft half-acre of no-bank waterfront! Vaulted entry, slate and tigerwood flooring lead to panoramic lake views from nearly every room. Entertain in your gourmet kitchen with a 10-ft slab island, tile backsplash, and high-end SS appliances. 3 Bedrooms + Den, Theater, and Library. Structured Panel (SIPs) build is strong, energy efficient, and quiet. Street-to-beach offers privacy and expansion options. Award-winning Bellevue schools; minutes to Microsoft, Sea-Tac, and Downtown Seattle. The embodiment of a Whistler retreat on 70 ft of soul-stirring lakefront; custom-built in 2008 to radiate warm ambiance with expanses of heated walnut floors, alder millwork, slate and granite. This home allows for summer days spent swimming and kayaking followed by a lazy dinner barge cruise. Luxuriously appointed with gourmet kitchen featuring a Viking gas range and custom cabinets. Soothing lake view master suite with coffee bar. Coveted amenities include A/C, dog wash, terraced garden, outdoor and steam showers and wine cellar. 120 ft of waterfront in coveted Newport Shores. Covered boat lift plus moorage for up to 75 ft. Sprawling open floor plan is perfect for entertaining. Chef’s kitchen with stainless steel appliances, wine fridge and dual islands positioned to enjoy canal views. Main floor master with en-suite bath and heated floors. Super flexible lower level. Huge wrap-around deck, oversized 3-car garage. Resort-style living with luxurious neighborhood amenities including clubhouse, tennis and pool overlooking Newport Yacht Club marina. Bellevue Schools. Premier, main level retreat at waters edge. 2 bedrooms and 2 baths plus den. 2600+ sq ft. View from every angle. Built-in wine cabinet. Secluded and private. Master suite with fireplace and sweeping lake views. Butlers pantry, bar area conveniently located next to dining room. 2 decks. Secured building and parking. Close to Microsoft, Downtown Bellevue. Covered outdoor entertaining area. A stone’s throw from the shores of Lake Washington. Moorage with power/water. TENANT LEASE until 9/30. Designed from the beach up, commanding 108 ft of shoreline privacy on Shorewood’s expansive cove sits this sparkling home where high-tide splash applauds patio dining and curious seals, otters, eagles, heron, osprey faithfully entertain. Step onto the sand, paddle board, launch your kayak, a skiff to your buoy moorage, fish, explore. Graciously remodeled, a bulkhead fortress, From spa-level to breathtaking master suite, fireplaces throughout, a 2-chef galley. Flawless. Entertain beyond sunset. Welcome to soothing elegance with this masterly crafted residence overlooking panoramic views of Puget Sound and the islands while enjoying private community beach rights. Built in 2008 and fully renovated in 2016, this home offers beautifully appointed, spacious rooms where one feels at peace. Stunning chef’s kitchen and family room. Private Master en-suite. High ceilings on all three levels. Perfect flow between interior and exterior spaces. The ultimate retreat for entertaining. These are just a few of many waterfront homes throughout Western Washington that will be available for viewing during this special event. A map of all the featured homes and their open house hours can be found on the tour website. There is an undeniable luxury in waterfront living, and there’s no better way to get a taste than with us on this tour!